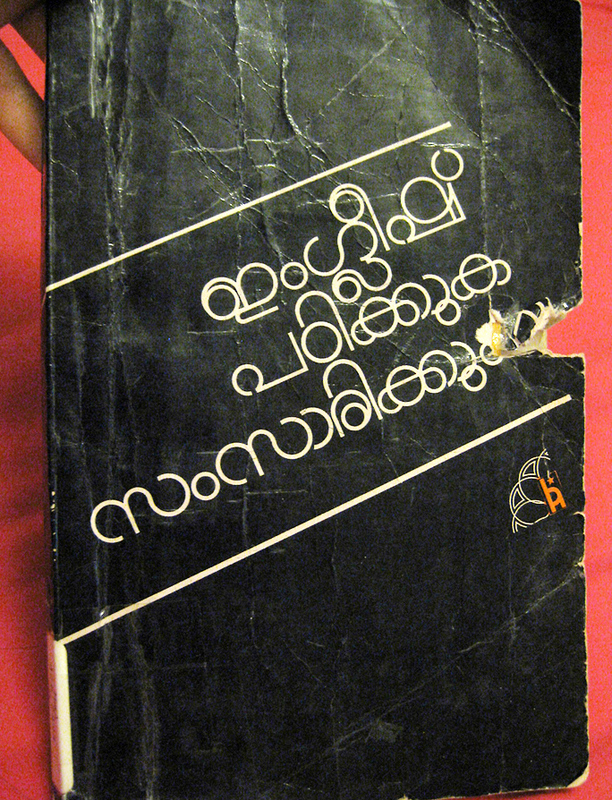 An extremely round, geometric cover design in Malayalam script. Found on English Padikkuka Samsarikkuka, by V.P. Dmodaran Nair, fifth edition, 1992. Cover attributed to “Devapalan”. If you’re serious about trying to learn to recognize these Indic scripts, I find it helpful to compare a passage of text to an alphabet chart (like on Omniglot), and attempt to view it in a different font, so you can compare shapes and proportions of letters. Here’s the text, if you have Malayalam enabled on your computer!